I first heard about Supherb when I was record shopping in Vancouver in 2001. I was in a used record store that had one of Vancouver's better DJs working at it and he was aware of my love of the Nonce. While looking through the used bins I stopped on the first Supherb 12" and before I could flip it over he mentioned that it was on Wild West Records and featured some production from the Nonce. 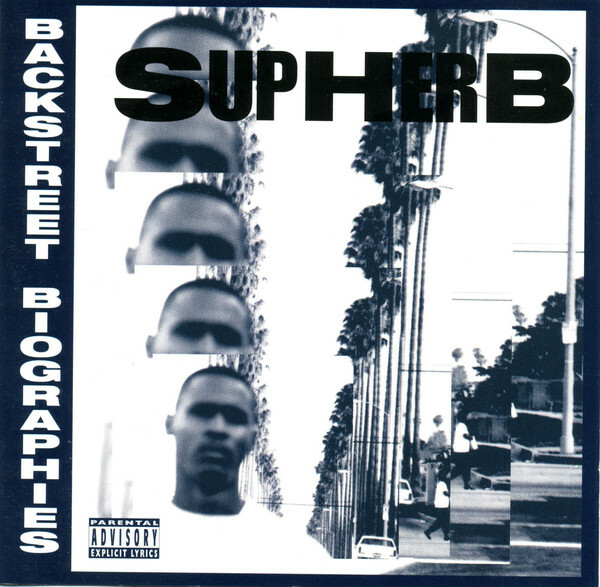 I've never really been sure how to classify Supherb or this album. He's by no means an amazing rapper and the album isn't great, however he's also not a bad rapper and the album isn't terrible. I revisit this album every couple of years looking for something that stands out about Supherb or the album, and each time I come away with the following realization, I listen to the album for the Nonce beats. Sounds out to the blog I originally found this album at....unfortunately at this time I don't remember which one it was. True he doesn't have the most lyrical style, but this still one of those L.a., West coast archives. More of a descriptive style or rhyming yet that style paints you a perfect painting of the L.A. lifestyle. Very relatable. Very thorough album. Wish he would've put out more material.